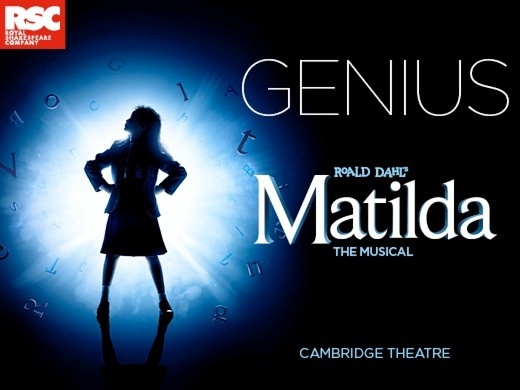 Matilda the Musical is a magical offering from the acclaimed Royal Shakespeare Company! Hailed as a musical triumph and recipient of an Olivier for Best New Musical, this fantastic piece of theatre is currently showing at the Cambridge Theatre on London’s West End. A funny and sharp book by Dennis Kelly and lyrics and music by celebrated Australian comedian Tim Minchin add a new dimension to this children’s favourite. 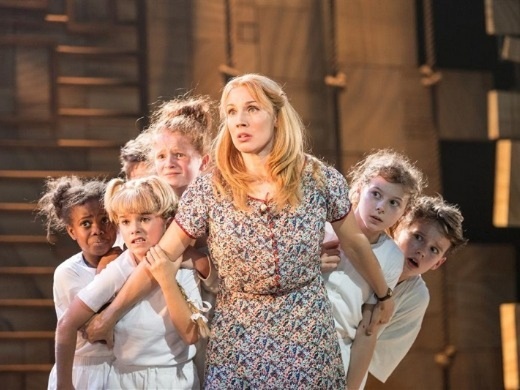 Rather than being derivative of the original tale, Matilda the Musical adds new depth to the story. 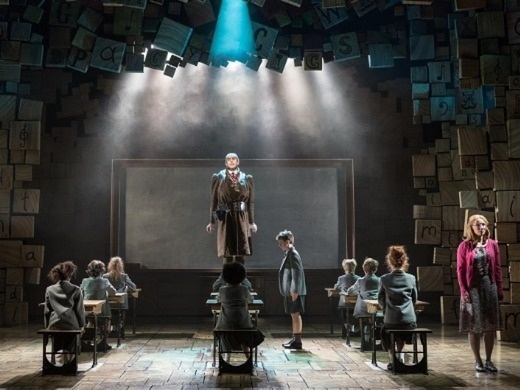 There’s all the nastiness of Dahl’s novel, with a little girl whizzed across stage by her pigtails and a boy made to eat a giant chocolate cake, but this production also revels in the consolation offered by books and the transformative power of the imagination. Matthew Warchus’ production is witty and intelligent as well as exuberant and big-hearted. 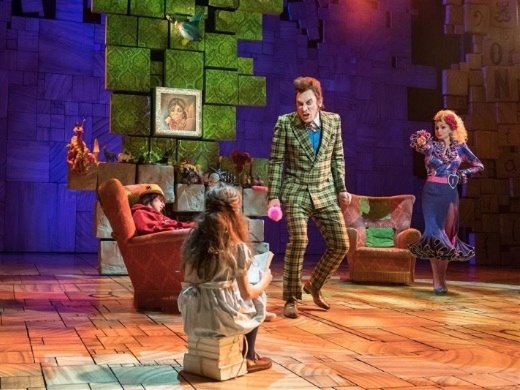 Matilda the Musical is a fantastic depiction of the disorder of childhood and the importance of making one’s own way in the world. Backed by sensationally creative sets and props and an extraordinary cast of child and adult actors, this musical truly sets Dahl’s story alight. 2 hours 40 minutes including one interval. This was a fantastic show. Enjoyed thoroughly by child and parents. This musical relies heavily on its cast of children and is all the better for that; they are superb. 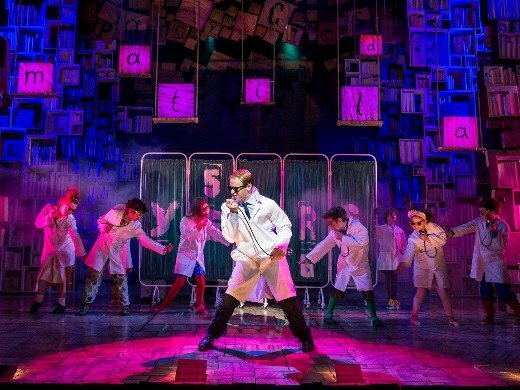 The staging and music are first class and the Roald Dahl story is a classic. It starts at 7pm so children in the audience do not have a very late night. Absolutely great. Show was great but husband disappointed as even though would have had great seats was stuck behind someone very tall and blocked a good view. So had to keep moving to see. Great stage show, talented kids and adults. Great set and music, fun night out if you love kids with some wicked adult humour as well..well done! We took our two daughters (9 and 11) to this and everyone though it was just brilliant! The cast, the stage, the choreography, the effects and the music were all superb with a number of WOW moments! As an adult I thought it'd be bearable, but I thoroughly enjoyed it. Went to see Matilda on Saturday 29th April, my husband and I took my 7 year old niece and what a treat, we all loved it. Even if you don't think it is your thing you will be pleasantly surprised, everything was brilliant from the theatre, actors and service. Would definitely recommend to everyone. I was a little hesitant to see this because I thought it would be too childish, but I really enjoyed it. Excellent. Staff were very welcoming and helpful on arrival and throughout. The musical was superbly written, produced and acted. Will definitely recommend. The talent of the performers as well as production leaves you joyful at the opportunity to experience such an event. A testament to the value of art to mankind. Cannot recommend this show enough! Absolutely stunning, fabulous cast, set, music. It's a must! I will definitely be seeing it again. I wasn't sure about this but my 14 year old daughter - and me - truly enjoyed it. I loved the dramatic moment of meeting the villain, Miss Trunchball, for the first time; viewed from behind, sitting on a ghastly chair which resembled the bars of a prison. A fantastic escalation of finely balanced fear and excitement! Very, very good characterisation by the actor. In fact, they were all good. Simply amazing... skills of the children were phenomenal! We came to see Matilda with our 3 kids, 13, 10 and 4. We all loved it. The staging was fantastic, acting and singing brilliant. Definitely one to recommend! Fantastic, went with my 10 year old daughter and she loved it, the kids in the show (and adults) are so good at what they do. Excellent night! This is a fantastic show from the music to the cast to the really clever staging and tricks. Kept me and my 11 year old god daughter completely transfixed. Very strong cast and very slick choreography. Would definitely recommend others to go to see it. Brilliant show young actors seemed to really enjoy it and trunchball was amazing. All staff at the theatre could not have been more helpful supplying me with a chair as I have mobility issue whilst we waited. The best customer service you can get! Took my wife out for her birthday to see her favourite Roahl Dahl Book, Matilda as a musical. The whole experience was one to remember. From the staff to the show, it was just that amazing. My wife loved it! Not forgetting to mention, while collecting our tickets, the staff member upgraded our seats from all the way back to middle section without any extra cost which I am so grateful of. Thank you! Booked to see Matilda for my daughters seventh birthday. Although my husband and daughter absolutely loved the show I was left slightly disappointed. There was some incredibly dark moments throughout and a lot of adult innuendo from the start. The children were amazing performers and the songs were brilliantly catchy I would recommend the show but would not rush back to see again. Amazing and a most see show. Really enjoyed the energy of the kids and adults in the cast, a great show to see with the family with moments of audience response evocative of Panto. As a child friendly show, I enjoyed hearing the young audience members react to the performance. We were in the upper circle and found it difficult to understand much of what Matilda said/sung. Sometimes she was so loud you had to put your fingers in your ears! "Trunch" stole the show and was excellent, as was Miss Honey. Great show, lots of energy from all the cast. Wonderful set and smooth scene changes. Cast very good but could do with clearer diction from the children - words shouted rather than projected, so not as clear as expected. Matilda is a lively and fun show and we enjoyed it. The theatre experience was not so great. They did not have tickets under my name and it took us 10 minutes of standing outside in the rain to get back to the info needed. They finally accepted my PayPal receipt but our seats were nowhere near as good as the ones I had paid for. This was enjoyed by the whole family and especially the granddaughters aged 8 and 10. Very good show one of the best we have seen . Took my 8yr old daughter to see it. Was fantastic and daughter loved it too. Was her 1st experience in a theatre and she was amazed. It has confirmed she wants to be on stage when she's older too. The BEST musical EVER. The music casting and whole production was amazing. Cannot recommend this musical highly enough. Kids loved it! Great humour and staging - talented cast! Reason for a three?? Bit contraversial but ... Matilda was played by a young indian girl yet the parents are white .. it just wasn't authentic and bothered us all the way through. Really let the show down as it lost the magic we usually feel when you get lost in the characters. She was very good - but she wasn't Matilda. Shame. It was extremely difficult to understand the lyrics when the children were singing, and since so much of the dialogue was sung, it was hard to follow what was happening. Absolutely awesome production. Myself my husband and my 6 year old we're captivated and in awe. The whole cast were outstanding but the little girl who played Matilda truely stole the show and was so professional. She had so much dialogue to deliver but did it with class and poise beyond her years and truely captured the essence of the character. Excellent show we managed to stop!!! I attended this amazing show with my daughter grandaughter and friend on Friday 17th feb. It was Jazmins chritmas present and we enjoyed an amazing first half. Unfortunatly just into the 2nd half my friend became very ill, the staff were wonderful to us all, but had to stop the show while they and the ambulance staff sorted things. I would like to thank you all for your kindness and support. My friend is on the mend and we hope to return to see the show soon!! special thanks to Amy. Sorry we stopped the show!!!! A very slick and energetic performance. The children are incredible and the choreography sharp. All adult characters fantastic caricatures and really brought the book to life. Little Matilda was outstanding. Bought tickets as a gift for my wife and 2 boys 11 & 8 in age. We were all thoroughly entertained by the show, the child actors were amazing. Even my 8 year old was captivated till the end, commenting the following day that our trip to London was fantastic but the show was his highlight. Matilda was magical and a must to see. It was totally absorbing and I was so impressed by the high standard of acting by all the cast especially the children. Absolutely fantastic! We came over for my daughters 8th birthday/1st visit to London! Loved every second, it reduced me to tears. Thank you! Superb acting, singing & dancing. Can't believe some of the cast are only 8 years old. Best show in the world, ever! What a performance! So young yet so talented. A stage show that included the stall isles, colourful and comic too. Highly recommend it to all ages who are looking for well performed light humour. Easily the stand-out musical of the decade! Gleefully Nasty, an evening of unadulterated bliss! Matilda is a fabulous family fizzer. It has strong tunes, witty lyrics and enough ‘eew!’ moments to satisfy the most revolting urchin.